Despite my reservations on the ongoing process of the national conference regarding the nature and chemistry of the organizer the EDA, the preparatory committee for the national conference, the method of invitation and kind of groups invited (selection criteria), the timing of the national conference and my uncertainty on its out comes as usual; as a citizen I would like to forward the following opinion proposal on conference of Eritrean nationals which my late uncle Tsega-ab Tekie and I had organized some years back and which I have thought to have a little contribution on our future. Since PFDJ’s grip on power by the muzzle of the gun except for a few years before the border war (1998-2000) the Eritrean people have been and enduring unprecedented political, economic and social hardships- more cruel and humanly inconceivable than during the colonial period. Though the Eritrean people through long, bitter and bloody struggle had been able to achieve independence, since its aftermath they were flatly denied their genuine aspirations to freedom, peace, justice and democracy by the oppressive system. The blood they had shed and the lives they had scarified to establish a broad-based pluralist, state founded on a democratic constitution was virtually abandoned by the regime. Severe oppression centrally characterized by extremities, by shocking and repugnant crimes is the prevailing condition in Eritrea today. The morale, stamina, creativity and inventive endowment of the once heroic people has thus been exposed to reign of terror ensuing constant fear, physical, psychological and mental trauma as a consequence of the terrorist system’s flagrant violation of international law. Intimidation, incrimination, molestation, de-humanizing, maiming and killing innocent citizens is what the rogue system is bent on. For their arduous struggle they were compensated by a blood- thirsty system and not by what they had been dreaming for a long painstaking period of fifty years. Nonetheless, in no time since independence had had the destitute people refrained from voicing out their disgust and grievances against the predator regime. Many thousands have lost their lives far and beyond the confiscation of their money and property by the impoverishing regime. It is estimated that no less than one million citizens are living abroad predominantly in the Sudan, the Middle East, Europe, the US, Canada and Australia. In brief Eritrea has become an uninhabitable land to its people. It has become a migrating nation. Since the Eritrea Ethiopia border war the number of refuges in Ethiopia has swollen up to more than 45 thousands. The Diaspora is therefore increasing in large numbers all around the world, seeking sanctuary or political asylum. Peaceful demonstrations panel discussions and conferences have been convinced in various capitals in which government authorities, civilian dignitaries, scholars and religious dignitaries had participated and who had at the conclusion of such conferences confirmed their full support for the struggle underway to hasten the downfall of the atrocious regime. These appalling and ruinous conditions in Eritrea should not continue indefinitely and the trend and extent of oppression is being intensified by the progress of the day. Eritrea is not only being drifted to incommunicado with the community of nation because of the regime’s consistent and deliberate action of contravening international law, but much worse it is heading to collapse, which could perpetrate societal disintegration and dismemberment of the nation. No person, group or community with human conscience could ignore while the state of Eritrea is on the verge of falling down. It is therefore against this lamentable, destructive and disgraceful background, briefly mentioned above that would initiate the concern for organizing a national conference. Though too late from the perspective of the Dictatorial system’s ever intensified extensive oppression of the people, it is deemed that Eritreans and the opposition forces could upon their deliberations in the conference reach a consensus of formulating a common strategy that could reinforce the on-going struggle so that upon the downfall of the regime the enslaved people could be empowered to decide on the destiny of their future. And that is precisely what should initiate the need and the substance of the conference. At this point in time, as indicated earlier on, the situation in Eritrea is progressing from bad to worse, redeeming the country from disintegration and salvaging the people from slavery and subjugation or civil war is not only morally justified, but humanly inconceivable to let the status quo continue as it is. Apart from the absence of a constitution deliberately denied to the people which otherwise could have introduced relative democratic reforms, the reckless system, with all the power at its disposal is intent on impoverishing the people and running the country in every dimension one could think of. The impact and the extent of the regime’s brutalities is knocking at the door of practically every citizen including the Diaspora. It is therefore natural that the Eritrean people everywhere should be disenchanted with and disgusted of the anti-democratic, anti-human and anti-development system. They could not act as indifferent or confined to brooding and dreaming of their plight since contemplating such deep-seated ill-feelings and grievances will have no bearing in getting rid of the oppression they have been enduring for more than 18 years. For a long period of time the PFDJ has been promised bonanza of all sorts from poverty alleviation schemes to a moderately fair income; from mechanized agriculture and industrial development to free education and health services; from free market economy and investment to modest banking and insurances services etc. None of these sugar –coated statements had been put in place. 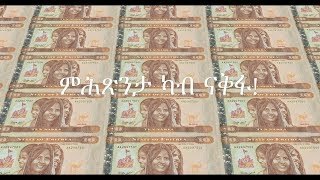 As the popular joke goes among Eritreans, “President Isayas promises but he never delivers” promise is debt, but the president and his stooges repays the people with crude and rude rule of terror which has become an experience in their daily life exposing them to utter poverty and destitution with desperation and illusion lingering in their minds all the time. As “if enough had not been enough” far and beyond acute poverty, there is nothing the irresponsible regime has attempted at introducing a basics of democracy and human rights. It abhors these fundamental rights detrimental to any society. 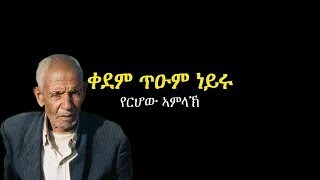 For PFDJ such pertinent and outstanding demands of the people is and enigma totally inconceivable and impractical. The dogmatic, die-hard and predator nature is impervious to change to the positive. Further more, it is more than aware and highly apprehensive that it could never prolong its life on power if democratic and human rights reforms were to be introduced in Eritrea. Anticipating the consequences that could eventually remove it from power in disgrace therefore, the only option it has resorted to is to sustain its bloody rule whatever might be the predicament of the strangulated and disillusioned people. Conscious of the sinister designs the regime is up to and against the agonizing and better experiences they have been and are forced to endure, the people had no other choice but to call for a conference in quest of exploring ways and means of agreeing on forming a united front of opposition of a cross-section of the Eritrean society in order for the opposition forces to be empowered to decide on the destiny of their future. To that end, many compatriots have called for a conference to be organized and convened. Our justification and substantiation for materialization of the conference is summarized below. “In quest of articulating a common strategy and vision of the Eritrean opposition forces in the struggle to emancipate the people from Dictatorial oppression”. “What ought to be done to consolidate and solidify the loose and unproductive relations of the opposition forces in combating the dictatorial system”. “Assessing the most essential inadequacies of the opposition forces in their endeavors to form a united common front worthy of removing the dictatorial regime from power”. “Call for a United Front of the Opposition”. 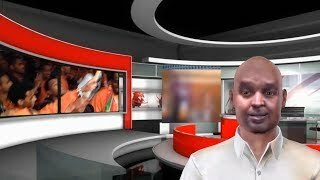 Voicing out the anarchist state of affairs it is bent on fomenting on faith and religion and its vicious hunt on religious leaders with the devious aim of perpetrating and undue suspicion, incrimination, rancor, feud and enmity between leaders and followers of different religious denominations. Condemning the belligerent regime’s routine crimes it flawlessly commits against men of conscience humiliating, molesting, dehumanizing, torturing maiming and killing innocent citizens for their birth right endowment of free expression of thought. Pin-pointing some of its inhuman treatment of victims it alleges “criminals of the state”, “turn coats “ renegades” “saboteurs” or “informants of the opposition”, “ mentioning some celebrities heinously victimized by the regime. To voice out if not to terminally quite the ever-intensifying oppression of the system on the people and especially its current land policy of re-villagization. To struggle to reach a common national consensus this could pave the way for a concerted strategic action against the system. To attempt at resolving the ill-feeling and desperate life of the Diaspora and its insistence of having the chance of being heard; and to resolve the torment of being a refugee and the severe anxiety of returning back to its country of origin. To facilitate a ground where by the oppressed people could conduct conferences fairly and democratically about burning issues that affect their future destiny. To expose the repressive regime to the peace-loving community of nations of its tyrannical rule of law. To request the international community to exert pressure on the regime to unconditionally set free or let them fair trial to all men and women of conscience facing all forms of hardships behind bars. To appeal to the international community to impose pressure on the regime to unconditionally set free all religious leaders and followers of all faiths agonizing in prisons and respect of religion without any intervention by the system. Condemn the regime for its indiscriminate recruitment of under aged youth and over aged citizen’s for no reason other than to protect and safeguard its interests and to foment havoc and instability in the region. To remind the international community to persuade the system refrain from restricting of movement of citizens and foreign nationals. To call upon the international community to pressure on the regime to release from prison parents, families and close relatives of military conscripts who have refused training or evaded or escaped unending military service and simultaneously to abandon the exorbitant financial penalties it forces them to pay for not bringing their loved ones to the authorities. To request the international community to put more pressure on the system to allow parents, relatives and families pay visit to their prisoners members and also to allow them conduct decent burial of citizens who die while under the custody of prison administrations. To demand the world community to react in common as regards the system’s reluctant and rigid position preventing international organizations from paying visits to assess the conditions of prisoners, and likewise persuade it to release periodical reports on the condition of the victims for the international community to scrutinize it for more follow-up on the fate of the prisoners. Free elections founded on broad based participatory processes. Multi party system where upon the grass roots and the bulk of the population including those in the Diaspora could have a free choice of joining any party. The forming of and leading a party to participate in Eritrean national politics , irrespective of tribal , ethnic , linguistic or religious diversity of parties to enrich the concepts and practices of democracy featured by a mosaic of a number of cultures. The implementation of fair and free elections at all levels-local elections to national parliament. Free debates between contending parties on detrimental issues affecting the country so the electorate could make preferences between them to determine voting for one of their choice. Freedom of expression, print or electronic and free access to media to create democratic awareness of the people and hence boost democratic ideas. Freedom to organize conferences, public rallies and peaceful demonstrations to express grievances when ever deemed necessary, at deprivation of democratic and human rights. Organizing civil and human rights agencies for overseeing the conduct of public security and safety to ensure that democracy is working. Organizing civil society, labor youth and women’s associations so as to empower them to democratically elect their leaders and manage their internal affairs independently without any interference of a third party. Freedom to express dismays and opposition to embezzlement of government finance and public finance and to request the removal of corrupt officials and to face due course of law for their crimes. Also the freedom to denounce bad governance, nepotism and favoritism that might trigger more corruption and craft uninstitutional conduct of ethics in the day – to – day administration of the country. Skeptics contend that the regime doesn’t have a policy in foreign relations. And many more think it makes use of spontaneous decrees which lack fundamental universal principles in conducting civilized approaches to diplomacy. Only very few know, and they are those in the executive leadership, how the regime manages its diplomatic activities and undertakes foreign relations. As mentioned before, the constitution “approved” has been irrelevant by Isayas to prevailing condition in Eritrea and hence then rotting in his filing cabinet, probably, it could have contained laws pertaining foreign relation and regulatory principles in dealing with diplomacy. In the absence of the constitution therefore, one could not speculate over the policies of the regime as regards to foreign relations and guiding principles governing diplomacy. Hence, it is humanly natural to think that the regime conducts its foreign relations and diplomacy by spontaneous decrees. It pursues "opportunistic" or “provocative” and “prohibitive” approach in dealing with foreign relations and diplomacy. It vigorously and persistently seeks to gain and benefit itself at the cost of sovereign states. Also, it is too adamant and stingy and as such too rigid to consider other states as equals. It gives no heed to mutual respect and cooperation. In fact it tends to impose its will on others upon failing to achieve its gains or benefits as initially anticipated. 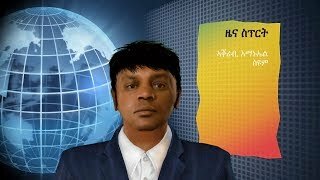 Explicitly portray and impose pressure on the PFDJ regime’s destructive indulgence in the internal affairs of sovereign neighboring states in concrete terms and the war-mongering and provocative nature of the blood drenched system with the intension of fomenting instability, chaos destruction and civil wars in the horn and far beyond. To mention examples Ethiopia, Yemen, Sudan (Darfur), Somalia (Mokadisho Al – Quida); and far beyond – Shri – Lanka. It’s amassing of troops and huge volume of armaments including its forceful recruitment of youth for war against neighboring countries by scrupulously and lavishly spending unprecedented finance at the cost of the impoverished people. More over its vigilante policy on military regimentation - youth who could have significantly contributed to nation building forcibly recruited and trained in military camps and thrown away to war fronts. Top brass of the armed forces, apart from being appointed as administrators of Zobas (administrative regions) and administrators of Mimihdars ( administrative districts), also given absolute authority as managers of business commercial , agricultural and industrial enterprises. All of them engaging themselves in embezzlement of state and public finance. Dirty governance characterized by corruption and anarchy, e.g. colonel Simon’s fatal wounds as a result. Pointing out the predator way of existence of the system and its exclusive monopoly of the 09 cartel a conglomerate composed of more than hundreds of business and commercial entities, agricultural, industrial and construction enterprises confiscated by the regime from private owners. As a result, the private sector vanishing away and entrepreneurs or investors shying away from alleviating the poverty of the country. Taxes levied on locally manufactured goods and import export commodities are beyond the down sized ordinary business man or self employed petty goods manufacturer or the industrialist whose capital is diminishing as a result. Acknowledging and condemning the harsh and hoarding policies of the system’s scrupulous banking and commercial institutions. To demand the world community to immediately implement the sanction resolution 1907 on the PFDJ regime in order to prevent the war-monger system from purchasing war armaments and to persuade it the huge finance it lavishly spends for that purpose to economic recovery and poverty alleviation schemes. Assab has been rendered idle since the border war. Its robust economic activities and its financial contribution to national development is nil. It has ended up in a ghost city. With decaying economy, the predator system can’t afford even minimum foreign currency to procure fuel to light and power to industry. The ministry of finance and its organs of finance watching policy carelessly and aimlessly while the national economy is on the brink of collapse. Neither the ministry and the banks nor the 09 curtail interested in redeeming the state of the economy from virtual bankruptcy. Prices of both locally produced and imported durable goods and consumables are increasing fast and at higher rate as a result the destitute population enduring ill-health, starvation, displacement, family disintegration and unemployment. Import export at its lowest ebb and for reasons mentioned afore, production of manufactured goods and agriculture affected by acute shortage of foreign reserve. Colonial factories and the few ones the regime has installed are short of spare parts as a result far and beyond the scarcity of light and energy. Lack or scarcity of spare parts and fuel for cars, trucks, buses, trains has severely affected means of transport. Technical and mechanical workshops sought to mend and repair vehicles, trucks and buses could no more perform their jobs for scarcity of spare parts and technical appliances and for what they charge the owners of the facilities an outcome of the vicious circle--meager foreign reserve. Most ordinary passengers and even business men find it difficult to pay transport charges personal or freight, which seriously affects transport. Telephonic services confined to the capital Asmara and major towns. Telephone bills far beyond the ordinary citizen could afford. In some cases, to receive or send messages one has to travel long distances often not less than a day’s journey. Interception of telephonic calls even from and to nearby localities by the moles of the security establishment is routine. Internet has introduced in to the total network of communications but as with telephonic services restricted to Asmera and major towns. Even Exchange of message via internet and particularly with the Diaspora tapped and meticulously intercepted. Exchange of messages among those citizens whom the regime alleges as “criminals or renegades” or for “treason” is deadly dangerous. Those intercepted in the process are “caught red handed” as the regime claims and captured citizens are detained and flogged for having contacted such personalities. Applicants before installing internet equipment and appliance should sign a document demanding street observance of the harsh rules and regulations pertaining to his or her use of the appliance. Though such a contract is nominally entered with the telecommunications authority, those who enact and over shadow the client on his conduct of using the equipment are heinous members of the security forces. Post offices as compared to telephone services have relatively been fairly distributed in many towns and townships. Though illiteracy is an impediment for the effective use of written exchange of information, being cheaper than other forms of communication it could have been the most convenient one. Nonetheless possessing postal boxes is expensive. Though exchange of information by means of postal service is affordable for most of the citizens, charges for mailing abroad is highly expensive for the ordinary citizen. Like with telephonic and internet, postal exchanges are also intercepted and cheeked as to the contents of their messages. Exclusively owned by the regime and essentially geared to praise and glorify the leader (Isayas) in particular and the system in general. In false fully accusing adjacent nations for their war of aggression against it and in “justifying” its unfounded and irrational motives for financing, arming and training insurgents and opposition forces engaged to destabilize neighboring sovereign states, e.g. its brutal indulgence in the Sudan (Darfur) and Eastern Sudan, its divisive involvement in arming and training fundamentalist Moslem elements with connections to Al – Quida aimed at procrastinating the process of the conference that was underway with the objective of reconciling the war lords of diversified clans and ethnic groups in Somalia. In flatly denouncing international allegation against its rude and undiplomatic record: e.g. for expelling UN peace keeping forces from the buffer zone on the Eritrea – Ethiopia border, Un sanction 1907. For defending its violation of international conventions and for justifying the damping of the then constitution of Eritrea. Exclusive lust for power by prohibiting the opposition forces from operating in the country and its reckless position against broad based multi party parliamentary system.